The organisations welcomed representatives from multiple industries and to reframe the narratives surrounding peace and peacebuilding. 25 September 2018 – Amman/Jordan: Generations For Peace joined PartnersGlobal, Alliance for Peacebuilding, MBC Al Amal (the CSR arm of MBC Group), and Platinum Records in hosting an array of global organisations at a “Narratives For Peace” event. Held on 21 September – International Day of Peace – at SAP Innovation Hub in New York, the evening maintained a global perspective with a strong focus on youth, recognising the pressing need to reframe the narrative of how we talk about peace and peacebuilding while addressing the ways in which they can be made more compelling and relevant to the general public. Representatives from organisations in both non-profit and private sectors, with emphases on a range of industries – including Entertainment, Marketing, Media, the Arts, Peacebuilding, and more – spent the evening together in an effort to expand the conversation of building peace to include a more diverse range of active participants. The two-hour event gave those present that opportunity to engage with industry leaders in an energetic, dynamic, and creative setting, allowing valuable and potentially untapped perspectives on peace and peacebuilding in local and global contexts. In alignment with the event’s focus on youth, the “Narratives For Peace” event also debuted an original song by 15-year-old rising Lebanese pop star Lynn Hayek. Accompanied by a Platinum Records music video depicting youth engaged in Generations For Peace programming, the song describes the power of unity in building hope for a peaceful future. On his part, Mazen Hayek, official spokesperson of MBC Group, stressed the responsibly of leading media organisations in instilling the culture of hope in future generations – via quality media content that can inspire and create change. This can be particularly achieved through narratives that resonate with the minds of youth in the region. “One of the best recent examples of this is what Lynn Hayek achieved on ‘The Voice Kids Ahla Sawt’ two years ago,” he said. “Aged twelve at the time, the Lebanese contestant won the first season of the programme despite having no musical training whatsoever. “Her appearance united her generation, offering a message of peace and hope to those her age and younger. Meanwhile, other programs like ‘Arab Idol’ [which feature contestants from all over the Arab region] show stories of those who have overcome struggles to get where they are today. 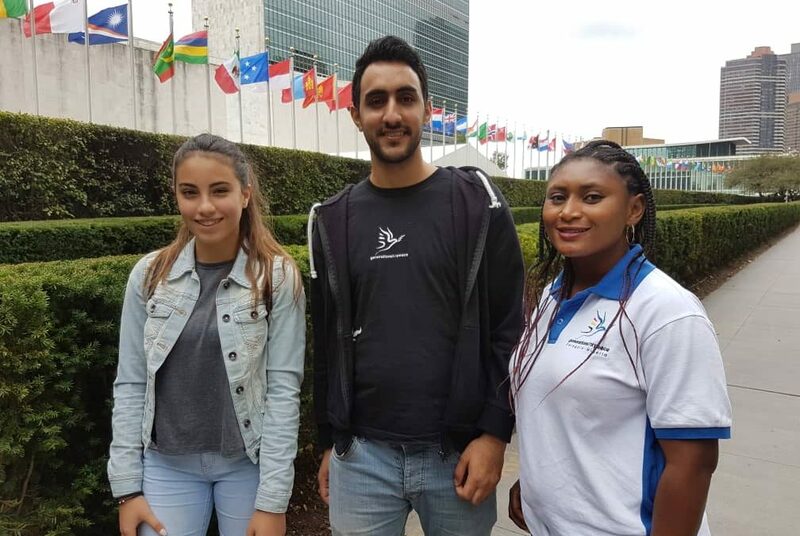 The Narratives For Peace event was held during the ongoing United Nations General Assembly’s 73rd Session in New York, which runs through 27 September. The 73rd Session emphasises similar elements of a youth-centric role in the efforts to achieve sustainable peace, following the publishing of the progress study of 2015’s UNSCR Resolution 2250 on Youth, Peace, and Security this July.